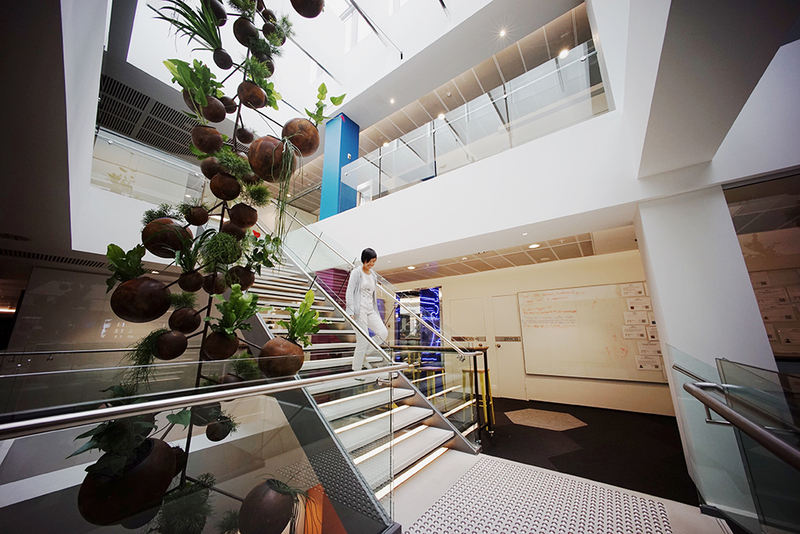 The software company Atlassian wanted a unique and interesting way to fill the space in the main entry to their new Sydney offices. We worked with the green roof and wall specialists Junglefy, and talented industrial designer Adam Cornish to help bring the design concept to life. The team came up with a design that consisted of large and small rustic pots suspended from the ceiling on a single stainless steel cable (that’s where we came in). The pots were filled with lush indoor plants to bring the outdoors in. Each steel rod held one large pot counterbalanced by 4 smaller pots on the other side. The rods we used had to be functional, strong enough to hold the pots, and had to look good and match the design of the pots. It’s a piece of art after all! Our work allows us to play with stainless steel wire, tension cables, rods and tensile mesh all over the world. We’re lucky because we get to work on some incredible projects and see some unusual and attention-grabbing designs. This is one of them, and this is why we love the work we do. 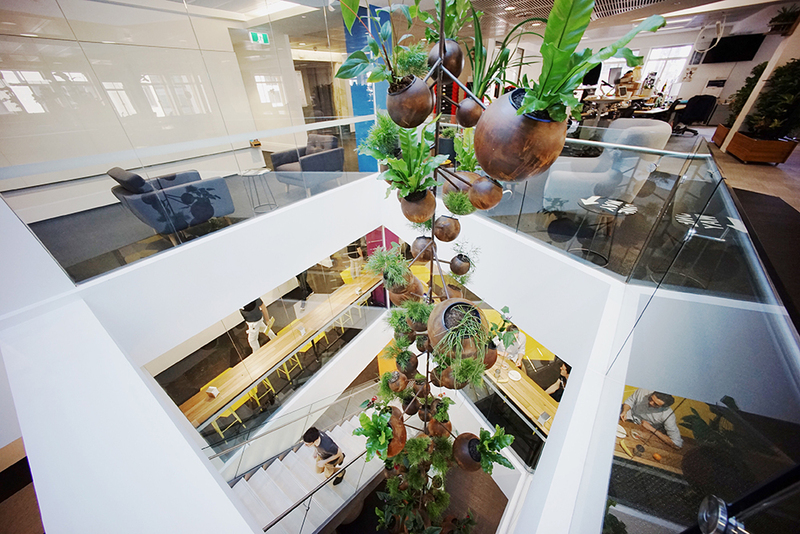 Hanging gardens in an indoor commercial environment like an office building create a sense of calm and tranquility in what can often be a stressful place. 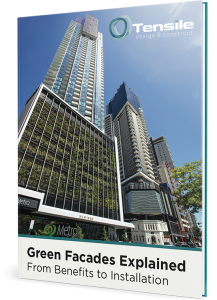 They improve productivity amongst workers, improve air quality inside the building and look amazing. If you have a space you think needs some structural art, contact our team on 02 9999 3668 to find out how our tensile products can benefit your project.